Clay County, Florida is situated to the southwest of the city of Jacksonville. The eastern border of Clay County is actually the St. John's River, a waterway that has played a prominent role in the development of this area of northeast Florida. The county seat is Green Cove Springs. The current population is approximately 192,000. Clay County is conveniently situated only 20-minutes from downtown Jacksonville, and it is directly west of the oldest city in the country, St. Augustine. Clay County was named after the famous statesman, Henry Clay, when it was formed in the 1850s. In the late 19th and early 20th centuries, many northern tourists were attracted to the warm therapeutic springs that were common throughout the county. These visitors often traveled by steamboat down the St. John's River to various resort hotels in Green Cove Springs. President Grover Cleveland was even a visitor; He was so impressed that he had some of the spring water shipped to the White House. In 1939, it was a military presence that proved to be important. The Florida National Guard developed 28,000 acres on Kingsley Lake in the central part of the county. During World War II, 90,000 troops were trained here. 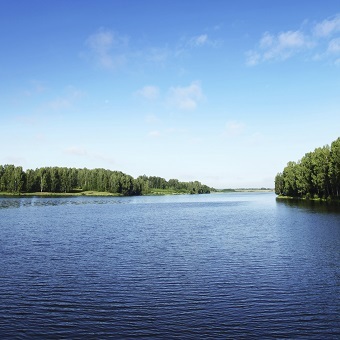 In addition to the St. John's River, there is over 40 sq-mi of waterways and lakes throughout the county. One such body of water is found in Ronnie Van Zant Park. A pond at the Ronnie Van Zandt Park in Green Cove Springs is stocked every year with bass, bluegills, and catfish. Four fishing piers make it that much simpler for kids to enjoy their fishing here. The park also offers a full array of tennis courts, ballfields, basketball courts, and soccer fields. Spring Park in Green Cove Springs is situated right behind the City Hall. The pool in the park is springfed, and as a result, the water temperature remains a constant 72°F all year-round. The gazebo attracts photographers on a regular basis, and the St. John's River is a fabulous backdrop. Golfers literally have dozens of championship golf opportunities throughout the greater Jacksonville area, and several of them are located within Clay County. One is the Ravines Club in Middleburg. The 6883-yard, 18-hole layout was designed by former touring Pro Mark McCumber. It features a 131 slope rating from the longest tees. Many events happen on an annual basis at the Clay County Fairgrounds, including the Haunted House experience in October. The town of Orange Park hosts its Fall Festival over a two-day weekend every October. Live music, diverse food from many vendors, and lots of kids activities contribute to a family-oriented event. Green Cove Springs' Riverfest is one of the most popular Memorial Day celebrations in the greater Jacksonville area. There is an 8K run. The Jacksonville Symphony performs at the Concert on the Green. The fireworks reflecting in the waters of the St. John's River is a final highlight of the celebration. There are typically over a couple of thousand homes for sale in Clay County. 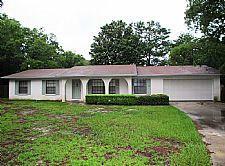 There is a wide range of Clay County FL real estate, including Clay County FL homes for those on a budget. Such homes are often available in the five figure range. The real estate in Clay County also includes Clay County homes for sale in modern, fashionable subdivisions. The discriminating Clay County home buyer can choose from luxurious country estates, waterfront properties, and Clay County homes that front on golf course fairways. At any one time about 5-percent of the Clay County properties for sale are condominiums. Clay County real estate in the form of vacant land and developed lots in newer subdivisions offer an opportunity to build one's own dream home in Clay County.